Were you at the June swap at Gallery 1028? Or did you have to miss it? Either way, you will want to read these recaps from our swappers who are also bloggers. First-time swapper Mike wrote about the June swap for his new site Chicago Food Bloggers. 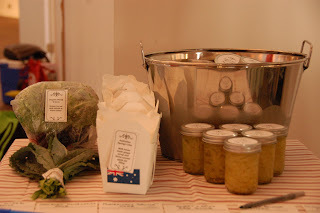 Another new swapper, Tamara, included a recap on her sustainable food blog Oh Lardy! Veteran swappers Kristl and Rachel included helpful tips for new swappers in their recap post. Lastly, local Chicago digital magazine Gapers Block included a recap as well. Thanks for all these great articles! Want to write about your experience at the swap but don't have a blog of you own? We would love a guest post from any of our swappers on our website! Mark your calendars and start planning what you are going to make! All events begin at 3 pm unless otherwise noted. August 4 at Green Home Experts in Oak Park. We will return to the site of last August's swap. 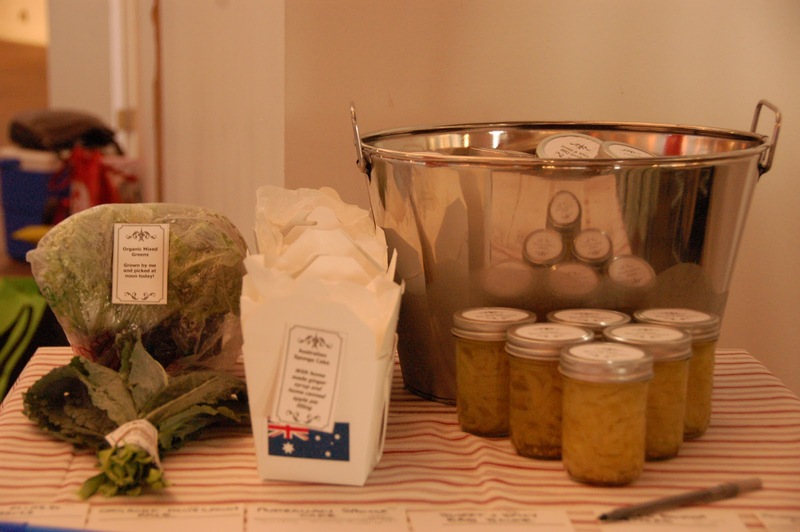 At this time of year, expect lots of homegrown produce as well as the usual array of prepared foods. Registration is full, but do add your name to the waiting list - spots always open up. On the same note, if you registered for this swap previously and can no longer attend, please let Emily know as soon as possible. September 15 at The Savory Spice Shop in Lincoln Square. This soon-to-be-opened spice store in the bustling Lincoln Sqaure neighborhood will be host for the September swap. We can't wait to check out their new space! We are also hoping to have a special cookbook signing with a local author at this event - stay tuned for more details on that. Registration will open on August 18. October 6 at Peterson Garden Project in Ravenswood Manor. Let us hope for a nice day so we can use both the indoor and outdoor space at Peterson Garden Project's education center, site of last December's swap. Join Emily this Saturday, July 13 for an event hosted by the Woodlands Garden Club called “Desserts in Gardens.” Husband and wife chefs Corey and Sara Grupe will demonstrate recipes from the new cookbook Desserts in Jars in the sublime setting of the Mariani Gardens. 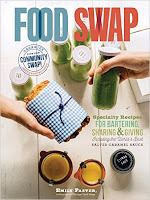 Desserts in Jars has some terrific ideas for swap items, including homemade baking mixes. Your $25 ticket includes a self-guided tour of the gardens, a copy of the cookbook, the chance to watch the demonstration, and snacks and drinks. A portion of the proceeds will benefit the Woodlands Garden Club. Have you tried the croughnut? 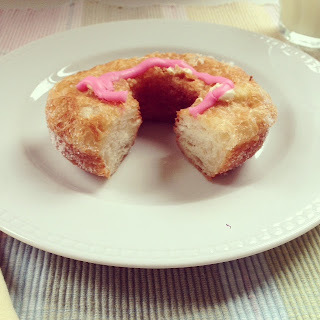 Have you tried the croughnut - the latest foodie craze? It's a doughnut made from croissant dough. Originated in New York in May, the croughnut has landed in the Chicago area. The best place to try this indulgent treat is Gur Sweets in suburban Elmhurst. While you are there, be sure to pick up some of their exceptional South Asian sweets, most of which are gluten-free.